Trying to live a healthier life and make healthier choices? 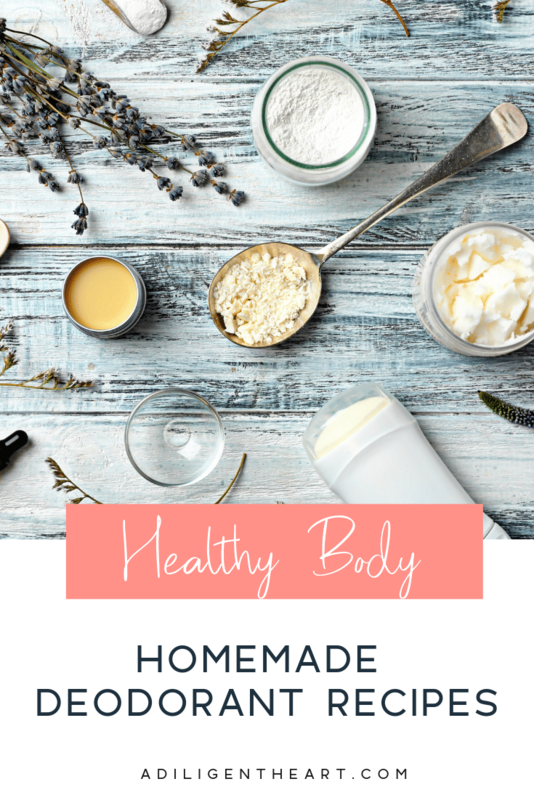 Homemade deodorant is an excellent step in the right direction. Most on-the-market deodorants aren’t healthy for you and contain unhealthy ingredients that soak into your skin, blood stream, and don’t forget – your lymph nodes are right in this area. Was I going to still smell? Would I have to reapply? Could the whole family use it? Would it be strong enough for my husband? And gentle enough for my kids as they enter puberty? Would I have to spend money and time learning about essential oils? We can all use it. Strong enough for my husband. My kids could use them when they entered puberty. I researched for weeks, read comments on deodorant recipe posts, and googled a LOT. My first (and I am still using the batch I made) attempt was from this blog post (it’s the Deodorant Recipe 2 minus the essential oil). My husband responded to it well, and my eldest did too at first. I was using it for several weeks then all of the sudden I got an irritation spot under each arm. My kiddo who was using it too developed some irritation too. So, I went back to do some more research. In reading up on these different ingredients a lot of comments were made that the baking soda was causing irritation. Suggestions to reduce the amount of or eliminate the baking soda were made. Additionally, the batch feels a bit scratchy when applied. So I wanted to smooth it out and eliminate the irrigation. I also looked at this recipe, this one, this one, this one, and this one. As you can see they all include very similar (if not identical) ingredients. Maybe the quantities change a bit. I also used cornstarch for my first batch, but for the next one I used arrowroot powder instead. I do love the idea of a spray-on-deodorant option that Wellness Mama shared. I hope to give it a try sometime. I made a new batch the next round with less baking soda and more arrowroot to see if that helped. I also tweaked some of the ingredients. The batch I made I am just storing in a small round container similar to this one, but once I nail down the perfect deodorant recipe for our family I’m going to put it in something like these deodorant containers. 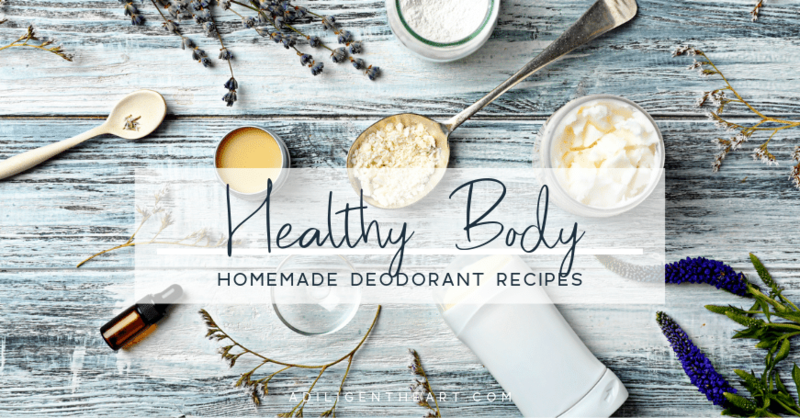 Here are 5 homemade deodorant recipes if you want to give them a try. My recipe – that doesn’t irritate us and is strong enough for my active husband – is below this list. What say you? 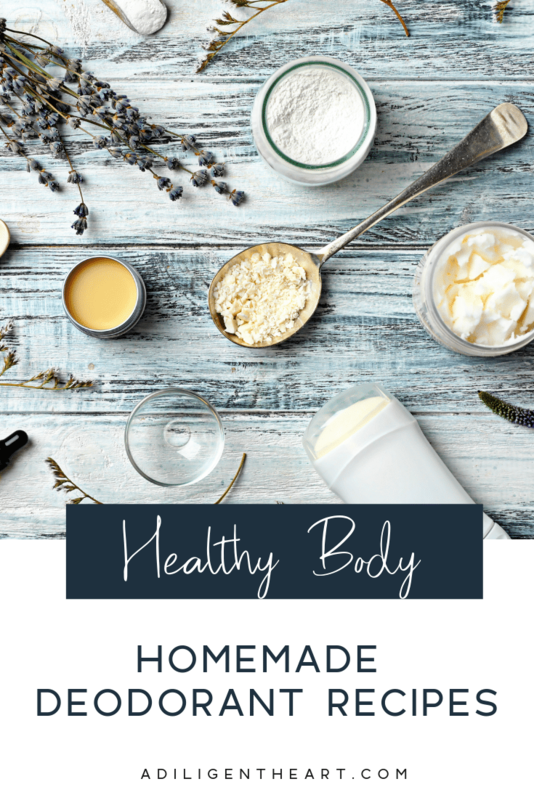 Have you attempted to make any homemade deodorant or toiletries? Let me know your experience in the comments below! I haven’t yet attempted to make my own solid deodorant, but I have made a stinky pit spray for my 9yo son which so far is working GREAT! Keep researching essential oils and if you want a sample of Young Living’s Purification I’d love to send it to you. I made his spray in a 2oz bottle using 10 drops of Purification and distilled water. I think the reason I haven’t tried the solid deoderant is that it seems too complicated. I’m not brave enough to try to make my own. I use Primal Pit Paste and love it. I have my stinky boy some YL deodorant a few months ago. I make have to try the spray!